Wish your favourite married couple the happiest of 50th wedding anniversaries with this gorgeous card from Paperlink! 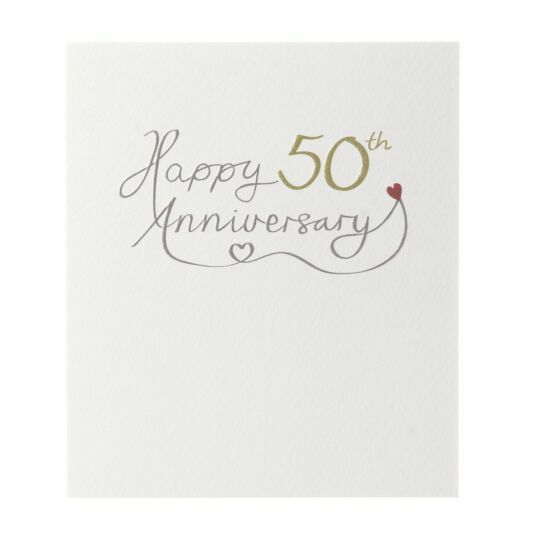 The front of this white card features silver and gold metallic writing reading; ‘Happy 50th Anniversary’. The card comes with a brown envelope and a message written inside the card which reads; ‘With Love on your special day’.